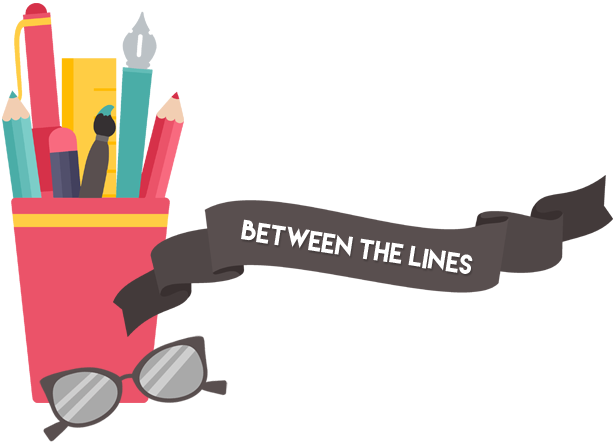 Between The Lines is a sporadic feature on Pop! Goes The Reader in which authors and other industry professionals provide further insight into the writing and publishing process, whether it be in the form of interviews, guest posts, etc. So, sit back, relax, and enjoy as we read between the lines. Hi everyone! Today I’m absolutely thrilled to be hosting the sixth stop on the Written In The Stars blog tour! Aisha Saeed’s 2015 debut tells the story of seventeen-year-old Naila, who is lured to Pakistan under false pretences and made to enter into a forced marriage without her consent. 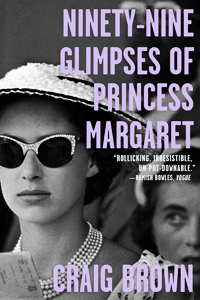 This novel is a breathtaking, powerful and riveting tour de force that I’ve been unable to stop thinking about ever since I finished reading it a number of weeks ago. Today, Aisha was kind enough to agree to answer some questions about Written In The Stars, her debut publishing experience, and what’s next for this promising new voice in the young adult community. 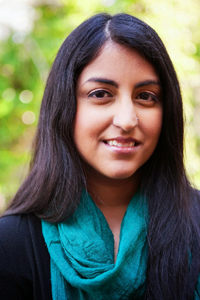 Aisha Saeed is an author, mama, lawyer, teacher, and maker and drinker of chai. She is also the Vice President of Strategy for We Need Diverse Books™. Aisha has been blogging for over a decade and her writing has also appeared in places such as The Orlando Sentinel, BlogHer, Muslim Girl Magazine, and Red Tricycle. She is also a contributing author to the anthology Love Inshallah. 1. 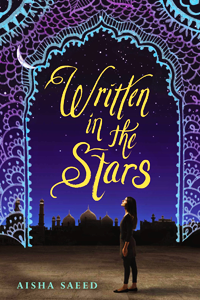 Written in the Stars explores the practice of both arranged and forced marriage, subjects previously unexplored in young adult literature. What inspired you to write this particular story? Growing up I had some childhood friends who were pressured and coerced into marriages they didn’t want. They thought they had no choice. Their stories have always stayed with me, and inspired me to write a story about the topic with the hope that maybe by writing about it, I can show some readers a world different than their own — but that it also might resonate with someone who can relate and who may, by reading it, be able to change their own destiny by realizing there is another way. 2. It is often said that you should write what you know. How much (or how little) of the characters and/or subject matter in this novel is based on personal experience? Naila’s story is inspired by real life circumstances of people I knew but the novel is not based on my own personal experiences with a forced marriage. I met my husband through family friends and we had a semi-arranged marriage, but it was our choice and one I happily made. 3. If there is one theme or message you would like readers to take from Written in the Stars, what would it be and why? I would like readers to come away from my novel knowing that while sometimes the obstacles we face can feel insurmountable, we must never give up, we must never lose hope. Hope is one of the most powerful driving forces we have and even when things look darkest, there is always hope. 4. Written in the Stars is your debut publication. What has been your favorite and least favorite aspect of the debut publishing experience? That’s a great question! My favorite part of the publishing process is all the incredible people I’ve met along the way from readers, to writers, to all the amazing people in the publishing industry. One reality about being a debut, though, is that it’s a path I’ve never traveled on before, so it’s a learning process as I find out all the things I never knew I didn’t know! 5. What’s next for Aisha Saeed? Are you currently working on a new project? If so, can you tell us a little about it? At the moment I have three different projects I’m working on! Two are young adult and one is middle grade. I’m very early in development of all of these but I’m excited to see what will unfold! Naila’s conservative immigrant parents have always said the same thing: She may choose what to study, how to wear her hair, and what to be when she grows up — but they will choose her husband. Following their cultural tradition, they will plan an arranged marriage for her. And until then, dating — even friendship with a boy — is forbidden. When Naila breaks their rule by falling in love with Saif, her parents are livid. Convinced she has forgotten who she truly is, they travel to Pakistan to visit relatives and explore their roots. But Naila’s vacation turns into a nightmare when she learns that plans have changed — her parents have found her a husband and they want her to marry him, now! Despite her greatest efforts, Naila is aghast to find herself cut off from everything and everyone she once knew. Her only hope of escape is Saif…if he can find her before it’s too late. As an added bonus, Penguin Teen has been generous enough to offer readers the opportunity to win one of five signed editions of Written In The Stars!